Thanks to President Barack Obama's budget deal signed into law last November, married couples have just one week to take advantage of one of the most lucrative Social Security benefits. In fact, this Social Security benefit allows some married couples to boost their retirement benefits by upwards of $60,000. And a new law going into effect will completely eliminate it on Sunday, May 1. The benefit is known as the file-and-suspend strategy. Filing and suspending is when one person applies to receive retirement benefits but then suspends those payments. By not accepting retirement payments, the person's spouse can collect them between age 66 and 70 — before collecting his or her own benefits on their 70th birthday. The spouse is paid roughly $15,000 a year over four years, for a total of $60,000. According to The Washington Post, many congressional critics saw file-and-suspend as a loophole. It's often considered a byproduct of the Senior Citizens' Freedom to Work Act of 2000, which let people return to work after already starting to collect retirement payments. To close the loophole, Congress revised various Social Security filing options making it impossible for any married person to receive significant benefits from their spouse's payment suspensions. Why has Congress finally decided to eliminate one of the best Social Security benefits out there? It's because the $16,000 payments are too good to be true – and therefore shouldn't be. In other words, the federal government thought the benefits were simply too great to go on unchecked. 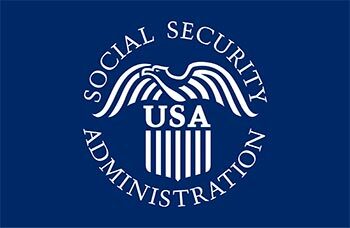 What are your thoughts on the file-and-suspend strategy and other Social Security benefits? Talk to us on Twitter at @moneymorning. Do not Privatize SS, I repeat do not Privatize SS.